Sharing a story with a child is a true pleasure. But here's something even better: having a child share a story with you. Reading Rainbow -- a longtime favorite of bookworms -- announced the winners of its 15th annual Young Writers & Illustrators Contest. Nearly 40,000 kids participated, with first, second, and third place winners being named for each of the participating grades (kindergarten through third). The stories are just as much fun to read as published books. There's Michaela's tale of a nearsighted caterpillar (I can relate, at least to the bad vision), Rachel's industrious spider, Ethan's brave exploration of his mother's purse, and Abigail's tear-jerker "Finding Grandpa." And that's only a sampling. All the stories are well worth your time, and I bet you'll be as blown away as I was by the creativity and imagination of the kids. This is also a great excuse to have your own child start writing and drawing their own tales. The Reading Rainbow winners narrated their stories. With a tape-recorder or a computer mic, you can do the same. If you're looking for a good story starter, try Dot's Story Factory on PBS KIDS. This month's theme is Carnivals. I certainly don’t need a board book for my fifth and eighth graders, but I might have to buy this one anyway just for the artistic value. The lovely and interesting illustrations of Charley Harper are completely the point of this (mostly) animal ABC book. Alphabet book connoisseurs are probably wondering about “X,” and I’ll tell you that it is not “Ox.” Oh, the suspense. What can I say? 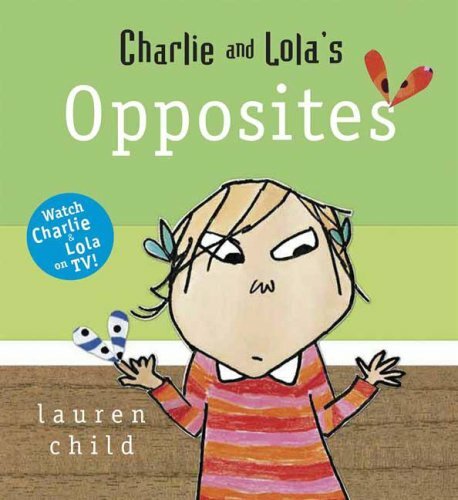 I love Charlie and Lola. I love the original books. I love the show. I love the books based on the show. And now I love the board books written from the success of the show based on the original books. The books are very simple in text  big and small, many and few  but Child’s illustrations are wonderful. It’s surprising that it took three people to produce books this simple in both words and pictures. I also think that the two books could have been smooshed together  maybe into one of those flip-over books  so you’d get more bang for your buck, because seven pages isn’t much book. That said, they are cute books about, respectively and most obviously, a cat and a dog. Fun, lively pictures. Sit back. I'm going to tell you one of my favorite children's book publishing stories. Picture Paris, in June of 1940. All around you is complete chaos as millions of people desperately try to leave the city before the Nazis arrive. Let's focus in on one particular couple amidst the sea of refugees. It's a husband and wife, both Jewish and both born in Germany. Long before the war started they had moved to Brazil and become Brazilian citizens. They fell in love with Paris on their honeymoon and decided to move there. They were both artists and enjoyed living in the heart of Montmartre. As the German army loomed ever closer, they realized they were no longer safe in Paris. But leaving wasn't easy. They waited in endless lines for updated passports, visas and train tickets. At last they were ready to go, but they had no way to get to the train station in Orleans in the midst of the rising panic. In desperation for any mode of transportation, the husband went to a bicycle shop where he found that there were no bikes left. But they did have spare parts. He bought these and with no training, he built a bicycle for himself and one for his wife. They put a few of their belongings into baskets attached to their bikes, including the manuscripts and illustrations of several children's books they were working on. And off they went with all the other people fleeing Hitler's army. They biked through small towns and villages and rode overcrowded trains to reach the south of France. They slept wherever they could including on the floor of a public high school, an empty restaurant, and in a barn with cows. With their money running low, they finally got permission to cross into Spain. On the train journey, an official checking passports and visas became suspicious of the large amount of paper the couple carried. He demanded to see it and then shoved it back when he found it was just drawings for kids. They went from Spain into Portugal, and in Lisbon they boarded a boat for Brazil. After a two month wait in Rio de Janeiro, they finally got on a boat bound for America and arrived in New York City in October, 1940. About a year later, one of the manuscripts they had trundled through Europe and South America was published. Perhaps you've heard of the book. It's called Curious George. The couple that took the perilous journey described above are Margret and H.A. Rey. I want to tell you another children's publishing story. This one happened just a few years ago. An editor flew to London to pick up a manuscript. She was stopped by airport security on her flight home. Just like the train conductor so many years before, the security officer was suspicious of the enormous amount of paper in the editor's carry-on bag. She looked through it and then eventually allowed the editor to continue on her way. You may have heard of that book too. It was the unpublished manuscript of Harry Potter and the Deathly Hallows, and at that moment in 2007, it was the most valuable pile of paper in the world. The editor's name is Cheryl Klein, senior editor at Arthur A. Levine Books (an imprint of Scholastic.) She told me that she was so nervous that at any moment the security officer was going to look down and see the words Harry, Ron and Hermione. Cheryl had a good story ready, though. If that happened, she was going to claim it was her own (rather extensive) fan fiction. Cheryl wasn't the only one that happened to. In August 2006, J.K. Rowling was flying back from New York after a charity reading with Stephen King and John Irving. She was stopped by security for the large pile of paper she had with her, which turned out to be the handwritten and unfinished manuscript for Harry Potter Book 7. Fortunately, she was allowed to take it with her. Moral of these stories: don't travel with large piles of paper. For more about the Rey's incredible adventure, read The Journey That Saved Curious George. Through exhaustive research, author Louise Borden was able to bring this classic publishing story to life with the help of the extensive archive of the Rey's papers at the de Grummond Children's Literature Collection at the University of Southern Mississippi. The book is fully documented with letters, maps, archival pictures and notes from H.A. Rey's diary. Sometimes the story behind a book can be as exciting and interesting as the book itself. Keep those book bags filled! Susan's July postings about her participation in the annual Caldecott and Newbery dinner reminded me how excited we ALL become when we meet authors of books we love. Children are no different from grown-ups. Even my college students find great pleasure in getting to know authors and illustrators, evidenced by this photo of my fabulous student Kelly talking to last year's Newbery Medalist Laura Amy Schlitz. Next year's Caldecott/Newbery dinner will be in late June in Washington, D.C., so make plans if you live in the area! Susan's thoughts about awardees prompts the reminder that the jurists have to make comparisons across a wide range of books, genres, and intended audiences. As Jane Langton said: "These books are apples and oranges, pianos and prunes, washtubs and weasels." I want to add to Pam's July 9 posting my favorite new book that would fit well with her others about animals. AFRICAN ACROSTICS, by Avis Harley, photographs by Deborah Noyes, is a nice "multi-genre" picture book of poetry and lots of information. One of the many fun acrostic poems is "Hornbill's Hot Day." seeing the photograph of a hornbill? Pam has continued to give us great recommendations on filling those book bags. I heard from my chum Whitney who said, "Sometimes it feels silly to schlep around a bag of books without knowing yet if we'll like them once they're at our house, but the kids really love picking out books and then pouring over them once we're back in the living room." I've run across a few useful posts about encouraging young readers from around the universe of children's and young adult book bloggers (aka the Kidlitosphere), and thought that I would share them here. At BookMuse, Robin Gibson shares some selections from the Gifted Reader's Bill of Rights (from Bertie Kingore, link goes to PDF). Robin's highlights are focused on making sure that kids are allowed to read books that challenge them. For example: "I have the right to read at a pace and level that matches my ability, no matter what grade I'm in." I think that these rights are great. But personally (as regular readers know), I'd also like to make sure that gifted readers have the right to read books that don't challenge them, but that they enjoy, at least some of the time. I think that Jennie Rothschild from Biblio File would agree. Jennie recently wrote: "Everyone should always be reading something below level, something above level, and something at level. This mixture is what lets us grow as readers." Dawn Morris at Moms Inspire Learning has a follow-on to her recent YA Books and Bikes post (in which she made the analogy: "Would you let your children ride their bikes on major streets when they were 10 years old? Would you let your children read teen books when they were 10 years old?"). This time, she discusses the need for parents to keep an eye, even if a distant eye, on what their kids are reading, and offers suggestions for book lists and reviews (including my feature on series books for adventurous girls from here at Booklights). Lori Calabrese shares tips for how to build your child's library on a budget, ranging from the obvious suggestion to use the library to creative ideas like holding book swaps asking relatives to give books as gifts. She concludes with this lovely quote: ""A home without books is like a room without windows ... A library is not a luxury but one of the necessities of life." ~Henry Ward Beecher." Lori also offers suggestions for helping your child while reading. She explains: "You can prepare your child to read by sharing your time, talking about the world around you, telling and reading stories and asking and answering questions", and offers concrete suggestions. I especially liked #10 "Talk about the stories. Ask and answer questions. Share ideas about the funniest and most interesting characters and events in the stories". And last, but not least, I found a nice post by Lisa at 5 Minutes for Books about her first-hand experience reading aloud to her daughter from birth. She says: "And now, one year later, I look at my little angel. She is a toddler, busy walking, talking and exploring all the fun to be had in every nook and cranny of our home. The only time I can get her to sit still is when I pull out a book. ... I am glad I read to that little newborn, because somewhere along the way she learned to love books." But do read the whole thing -- it's a lovely endorsement of the benefits that stem from reading aloud. 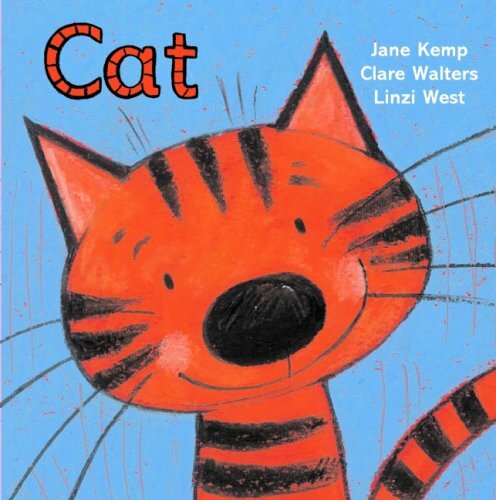 For more links about children's literacy and reading, check out this week's Children's Literacy Round-Up, written by Terry Doherty and myself, at Jen Robinson's Book Page, and last week's round-up at The Reading Tub. In 1980, the Vietnam Veterans Memorial Fund held a national competition to solicit entries for the design of the Vietnam Memorial. Any U.S. citizen 18 years of age or older was eligible to enter and 1,421 entries were recieved. The names were taken off the entries and replaced with numbers. A 21 year old college student by the name of Maya Lin won the contest with her design, beating out many famed and more experienced architects. Every time I hear that story, I'm inspired by the fairness of the contest and the level playing field it offered to every participant. I realize this is a Utopian and completely impractical fantasy, but picture for a moment if the Newbery and Caldecott awards were judged that way. What if the committees didn't know the names of the publishers, authors or illustrators of the books under consideration? Keep in mind that committees can only focus on the eligible books for the current year. If David Wiesner or Marcia Brown have an eligible book, it's irrelevant to the discussion that these illustrators have already three Caldecott medals. And it's irrelevant what the illustrator's race, age or gender is, because the only thing that matters is the book itself. But is it really possible for anyone (no matter how hard they try) to be completely unbiased? What would the results look like if the awards were truly "blind" like the Vietnam Memorial competition? Such a thing is probably not physically possible, but wouldn't it be interesting if it were? Usually, I answer my own questions. But, as Roger Sutton mentioned in his recent Horn Book editorial, I think a topic like this merits a good discussion. What are your thoughts about how these two major awards are chosen? If you're unfamiliar with the process, you can find the Caldecott Medal criteria here, and the Newbery Medal criteria here. Last week I suggested several current series with adventurous girl protagonists. Commenters to that post pointed out a few notable oversights, and I'd like to share those this week. Michael Buckley's Sisters Grimm series was suggested by both Stephanie and Laura. I actually had this series on my mental list at one point, and then neglected to include it. I've only read the first two books (reviews here: The Fairy Tale Detectives and The Unusual Suspects), but there are seven books available. This is an excellent series for elementary school readers. It features two sisters who find themselves in the family business of investigating criminal behavior among the EverAfters (fairy tale characters living real lives in a particular town). The irrepressible Puck was my favorite character from the first book, The Fairy Tale Detectives. They're lovely hardcovers, too, excellent gift books. Diane Duane's Young Wizards series (currently at eight books, with a ninth expected in 2010), was recommended by Deva Fagan. This series actually has two primary protagonists, a boy and a girl who are wizard partners in a society that lies hidden within our own. The presence of a very strong younger sister character makes this series definitely qualify for inclusion. Nita, Dairine, and Kit are all among my favorite characters. This is a series in which the magic is relatively mathematical, and in which real-life family dynamics play a strong part, too. As with many series, the books do get a bit darker as the series progresses, with the later books more suited to middle school and up than elementary school. The only one that I've reviewed is the most recent, Wizards at War, because I read the other books before starting my blog. (And, in fact, this series is one that kept me reading YA as an adult, even when I wasn't blogging.) The first book is So You Want to Be a Wizard, in which Nita discovers a wizard's manual, and is partnered with Kit. Deva and My Boaz's Ruth also both recommended Tamora Pierce's books (specifically, the Protector of the Small and the Circle of Magic series). I hadn't included Pierce because I think of her books more as straight-up YA, but Deva and Ruth both remind me that these series start with the characters around 10 or so. The only Pierce title that I've reviewed is Wild Magic (#1 in the Immortals Quartet). But I have read the first Circle of Magic book, Sandry's Book. The first book in the Protector of the Small series is First Test. Tamora Pierce is known for writing about strong female characters, and her books are huge hits with teen readers. I personally tend more towards fantasy that is set in and around our modern world, rather than your knights and castles sort of fantasy, which is why I haven't read more of these. But I have read enough to feel quite comfortable recommending these books. My Boaz's Ruth also mentioned several older titles that feature strong girls (Trixie Belden, etc.). This reminded me of a list that I created on my blog in 2006, 200 Cool Girls of Children's Literature. I started with a list of a few girls from children's literature who I thought were smart, brave, strong, and independent. With the help of many, many reader suggestions, I eventually collected a list of more than 200 cool girls. I later added a Cool Boys list, now at about 175 or so. Mary Lee and Franki from A Year of Reading were inspired to create their own list, of 100 Cool Teachers of Children's Literature, which is delightful. And TheBookDragon collects "Great and/or Infamous Librarians in Children's and YA Literature" in her sidebar. One day, I'll find time to update the Cool Girl and Boy lists with my discoveries from the past three years. Meanwhile, I thought that I would share the links here, in case any of you find them useful. For me, summer means car trips and lots of them. Our family has gone the portable DVD player route at times, but the kids generally listen to music, read their books, or play Nintendo. But since they were little, we've always had some different kinds of books at hand for when traffic takes its toll or the batteries die. 1) Audiobooks are great for passing the time in the car and feeling like you got some book reading accomplished. I've found that the ones that hold our attention are either funny, adventurous, or familiar. With younger kids in the car, it can be difficult to find the book that works for everybody, so compromise must be employed. Personally, we've had the most success with the Junie B. Jones series. The books are funny, the reader is great, and the stories are familiar. It's also helpful that each book is only about thirty minutes of listening time, so they are perfect for that last hour of a trip when everyone is getting cranky. For older kids, I'd also recommend A Series of Unfortunate Events, read by Tim Curry. Again, these work best when you already know the story as it makes it easier for everyone to follow along. 2) Question books can turn a long car ride into a wonderful opportunity to share stories and memories. Not sure what a question book is? Well, I may be making up the genre as I'm only aware of two such titles for kids, but both are excellent. Ask Me features an interesting photograph or illustration on one page and a question on the other. Questions like, "What do you wish you could do really well?" and "Where do you like to hide?" Another title, Could You? Would you?, by Trudy White features whimsical drawings along with the questions. Sometimes the questions are offered alone, like "Would you like to dance with animals or look at plants?" But many times include follow-up questions or a few ideas to start you off. So, "What makes you smile?" lists pineapple and big goldfish in a pond. Both books are wonderful to start you talking to each other. 3) Find It books are very popular anyway if my library requests are any indication, but a car trip is the perfect place for them. You may buy yourself a reasonably quiet hour only punctuated by an occasional "Found it!" Where's Waldo? series is famous, and the I Spy series by Jean Marzollo isn't far behind. I've also seen these types of books for TV shows and movies, ocean life and museums. I keep one in the car at all times, because you never know when a trip across town can go terribly wrong. What books have made your car trips bearable? The 2009 Newbery/Caldecott/Wilder banquet was fantastic. Wonderful. Sparkling. Funny. Exciting. And it was also something extremely odd (for me, at least): Visible. Why was this so strange? The vast majority of the tables at the banquet are reserved by publishers for their invited guests. If you buy a ticket through the regular conference registration, the only place to sit is at the unreserved tables near the back and along the sides (and you've got to fight for a decent spot). Here's a picture of David Wiesner's Caldecott speech from the first year I attended. (Keep in mind that I stood up to take this picture). Wondering what is sitting on all the plates? It's the program for the banquet, which always features artwork from the Caldecott medal book plus a CD recording of the acceptance speeches. The first year it struck me as pretty odd to have the speech in my hands even before it had even been presented! What was more amazing about the table (other than the fact that it had my name on it) was that it was in the center of the ballroom and only two rows from the front. Not only could I finally see the podium, but I was also able to get a good look at all the other people in the good seats. Brian Selznick was a foot away at the next table. And I was able to take this picture from my seat, sitting down. Okay, I admit it, I used the zoom feature on my camera. (But the David Wiesner picture was zoomed all the way in too.) And, um, the flash didn't work and you'll have to take my word for it that it's a picture of Neil Gaiman during his Newbery speech. But still! The other neat thing about being so close was that I could see who was sitting in the front row. I was able to talk to Beth Krommes' teenage daughter and ask her the only question I could think of: "Is this the best night of your life?" Her face glowed as she answered yes. Neil: "Hi, I'm Neil. " But I didn't realize he was famous. I knew his children's books and was excited to meet him because he was this year's Newbery Medal winner, and because I loved The Graveyard Book. I posted the picture above on Facebook, and was shocked at the number of people who recognized him. My friends have since informed me (in a very nice way) how incredibly ignorant I am and that I'm the only person in the entire world who doesn't know that he's a literary rock star. That's what I get for reading far more children's books than adult ones. Despite his fame, I think I deserve more credit for my outfit than he does. I feel I had a much harder time finding a formal maternity dress than he did finding a black suit. Huge thanks go to my sister-in-law for loaning me her beautiful dress. If you look closely at his suit, you'll see a dagger in his lapel. A member of the Newbery committee had them made for all the committee members and Neil. But, I think that it's probably a good thing that I didn't realize there was an aura surrounding him or I probably wouldn't have kept talking to him for so long. And if I hadn't, I wouldn't have gotten these questions answered, which have been nagging me since I finished reading his book. Question: How do the ghouls in The Graveyard Book get their names? British edition: "They told Bod how they had got their names and how he, in his turn, once he had become a nameless ghoul, would be named, as they had been, after the main course of his first dinner." American edition: "They told Bod how they had got their names and how he, in his turn, once he had become a nameless ghoul, would be named as they had been." Neil said that his American editor thought the reason for the ghouls names was very obvious and that the rest of the sentence was redundant. The full line will most likely be added back into the paperback edition. But the important thing to understand is that the ghouls are not actually Victor Hugo or the Emperor of China... those are just the names of the first people the ghouls ate. Question: Why is one of the ghouls named after Harry Truman, the 33rd President of the United States? Answer: Everyone I've asked about this has given me the same answer: It is an allusion to the fact that Truman was the one who made the decision to drop the bombs during World War II. The only person who refuted this brilliant explanation was Neil himself. Here's the actual reason: he wanted to use a president from that era and FDR was just too cool to turn into a ghoul. He thought about Eisenhower, but in the end, he thought the number 33 sounded better than the number 34. There's nothing more to it than that. Moral: sometimes things are really that simple. Question: Will there be a sequel to The Graveyard Book? Answer: Possibly, but it's not an immediate priority since he's working on tons of other projects. If there is one, Neil says it'll be the what the Lord of the Rings is to The Hobbit. The Graveyard Book was the initial look at the world, but he said he'd want to develop it much further and explore Silas' universe more fully. Question: Was Neil nervous before his Newbery speech? Answer: He said he was absolutely terrified. By the time I talked to him (about ten minutes before the speeches started) he said he felt as if he had already jumped off the diving board and had begun the long descent down. Here's a shot of him talking to Caldecott medalist Beth Krommes before the big moment. Beth was also terrified (according to her daughter). Who wouldn't be? After all that wonderful schmoozing, it was time for the main event: the acceptance speeches. Beth Krommes gave a lovely speech about the importance of books in her own family and talked about her inspiration for the book. One of the most poignant moments was when she told the audience about a nine day period in the winter where her town was without power. When she stepped outside in the dark, she finally saw her House in the Night. Neil Gaiman's speech was funny. And moving. And powerful. And funny again. He hit all the right notes, told us that the Newbery Medal had actually made him cool to his kids and talked about the incredible power of books. One of my favorite moments was when he asked the crowd what the first sentence of A Wrinkle in Time is, and the whole audience immediately gave the correct answer in unison. He hit it out of the park with his speech and I thought it was the highlight of the evening. As far as Ashley Bryan's acceptance speech for the Wilder Award, all I can say is this: you had to be there. The speeches are written several months before they're given, in order to be printed in The Horn Book. I got a copy of the July/August issue of The Horn Book the morning after the speech. It's hard to see in this picture, but if you look very, very, very closely at the front cover of this issue (between the bird's wing and the tree, under the letter H), you'll see that Beth Krommes has added a graveyard to her lovely illustration. It's much easier to see on the actual magazine cover. I immediately turned to see what Ashley Bryan had written in The Horn Book. It was a few short pages, talking about what the award meant to him and how his career developed. He did, in fact, say all those words. But that was only the beginning of his speech. He also devoured poems and let the juicy words run from his lips. He led several sing alongs. He drew the crowd in as if he was a gospel preacher. It was an incredibly uplifting, emotional experience. Later in the evening I told him I'd never heard anyone read poetry the way he did: lyrically savoring every mouthful. He said that's the way poetry should be read, and I agree completely. I also got to talk to Beth Krommes after the banquet. I repeated what her daughter had said earlier... that it was the best night of her life. Beth gasped and said "Better than the prom?!" and then told me how much hearing that meant to her. In the end, the banquet was exactly what I predicted last week. It was just me, Neil, Beth and Ashley. Oh, and a thousand or so other people. To quote Kevin Henkes, "What a night!"